Le Serpent is Montreal’s newest restaurant from owners Hubert Marsolais and Claude Pelletier of Club Chasse et Pêche and Le Filet. Given the management’s pedigree – Le Serpent has a considerable amount of hype and expectation behind it already. The Chasse et Peche crew have chosen Chef Michele Mercuri (previous restaurants Bronté, XO) to lead the kitchen at Le Serpent. The restaurant is located inside the Darling Foundry Art centre on the western edge of Old Montreal. 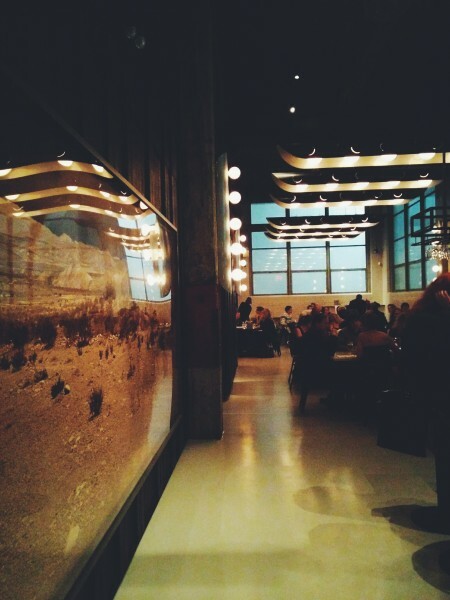 The interior of restaurant is stunning – a modern industrial design with super high ceilings without being cliché. The quail was perfectly roasted and paired well with the whipped liver and soft fingerling potatos. The lukewarm octopus was tender and covered the creamy potatoe mousseline and a hint of spice from the salsa verde. The braised rabbit agnolotti was cooked to a sharp al dente and the chestnut filling was surprising and very rich. 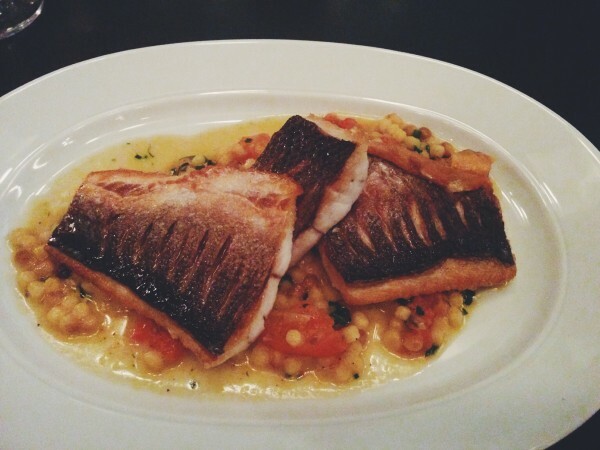 We ordered two of the Branzino dish which was our favorite of the night – the acidity of the tomato broth and fragrance of the fennel was a smart complement to the perfectly cooked Branzino (excellent seared on the skin). The Tiramisu with espresso was a delicious classic and the Crostata with kumquat ice cream was a bold test of flavour. 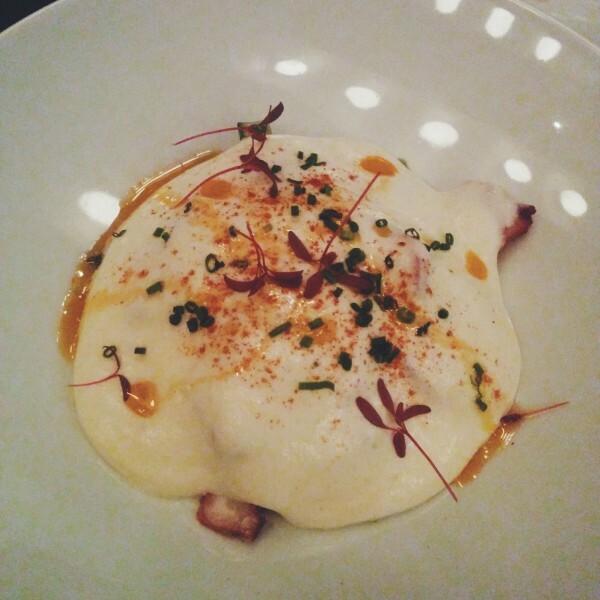 From start to finish – we loved every dish we tried on our first visit to Le Serpent. The restaurant also offers daily Rôtisserie specials like BBQ duck, soba noodles, marinated cucumber, sesame. We will definitely be coming back very soon. Le Serpent can stand on it’s own alongside it’s sister restaurants Le Filet and Club Chasse et Pêche. Tags: Cocktails, Italian, Montreal, Seafood.